On 24 October 2017, the Research Group Osservatorio sull’Euroletto (UNINT) and the European Commission are holding a Translating Europe Workshop entitled “Eurolects: Language contact and variational dynamics across European legislative corpora“, in Rome, Italy. The workshop will focus on the main outcomes of the Eurolect Observatory Research Project (phase 1: 2013-2016) devoted to the intralingual analysis of legislative varieties in 11 Member States – in Dutch, English, Finnish, French, German, Greek, Italian, Latvian, Maltese, Polish, and Spanish. Keynote lectures will cover the fields of legal linguistics and translation studies, corpus-based variationist linguistics and multilingual lawmaking in the EU context. The event will bring together academics, translators, jurilinguists and experts in legislative quality, as well as representatives from institutions, and students. 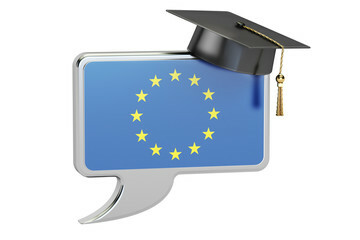 The Translating Europe Workshop will be web-streamed and an interpreting service will be provided (IT>EN; EN>IT). Participation is free, subject to registration by 17 October 2017. To register and for more information in Italian click here, and to download a leaflet in English click here.